Click here to register for 2018! Friday and Saturday registrations will get a race shirt, but size is no longer gaurunteed! New for 2018: Double the fun with an extended 8 mile "Big" Bear Claw! The Bear Claw Trail Race will take place on Saturday, June 23, 2018, at Johnston Woods Retreat Center in McDonald, TN ( (298 Brymer Creek Rd. McDonald, TN 37353). Enjoy the ~4 mile race on the beautiful, beginner level trails. This is a great race for beginner trail runners! 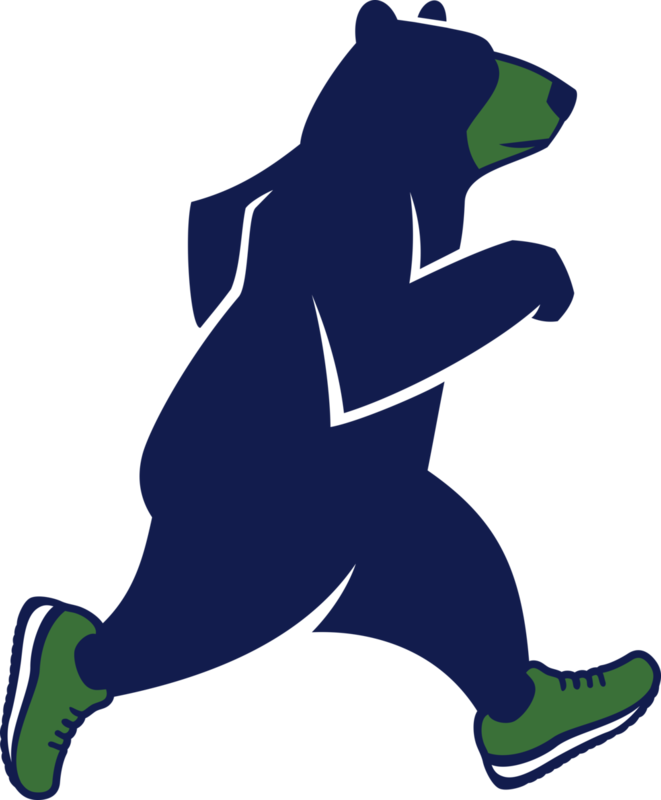 Or, new for 2018, increase the challenge and do the two loop 8.4 mile "big" Bear Claw! Packet Pickup is at Terra Running Company, located at 90 N. Ocoee Street, in downtown Cleveland from 12:00 to 6:00PM on Friday 6/22. You can also pick up your packet at Johnston Woods from 6:15 to 6:45am race morning! All finishers will receive a delicious Bear Claw pastry! Awards will be given to the 1st place overall male and female finishers, as well as 1st, 2nd, and 3rd in the following age groups: 9 and under, 10-19, 20-29, 30-39, 40-49, 50-59, and 60 and over. The race will be capped at 150 participants combined between the distances due to parking limitations, so sign up and reserve your spot in the tribe before we run out! Due to the nature of a trail race, dogs, strollers, and headphones are not allowed. The trail is a beginner mountain bike trail so is not excessively steep or rocky. However, it is a trail, so you will be exposed to rocks, dirt, roots, leaves, mud, and may encounter wildlife such as deer, ticks, snakes, and anything else that roams the woods of eastern Tennessee. The route will be marked, but you must remain vigilant to stay on course and be aware of any hazards. The race will be professionally chip-timed by Terra Running Company with immediate online results! Click here for online results for the 2017 Bear Claw Trail Race. Preregistered packet pick up will be at Terra Running Company on Friday, June 22, and race morning at Johnston Woods.